1. 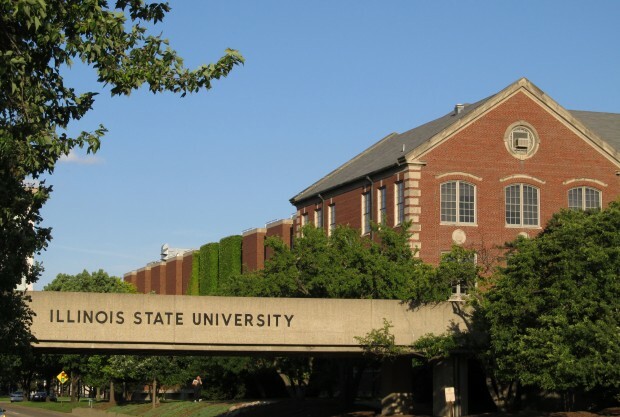 Chicago State University- (CSU) is a state university of the U.S. state of Illinois, located in Chicago. The university is a member school of the Thurgood Marshall College Fund. 2. Eastern Illinois University- Eastern Illinois University is a state university in Charleston, Illinois. Established in 1895 as the Eastern Illinois State Normal School, a teacher’s college offering a two-year degree, Eastern Illinois University gradually expanded into a comprehensive university with a broad curriculum, including Baccalaureate and Master’s degrees in education, business, arts, sciences, and humanities. Governors State University is a public university located in University Park, Will County, Illinois, United States. The 750 acres (3.0 km2) campus is located 30 miles (48 km) south of Chicago, Illinois. GSU was founded in 1969. GSU is a comprehensive public university with a broad curriculum, offering degree programs at the undergraduate, master’s, and doctoral levels. GSU has four colleges: the College of Arts and Sciences, the College of Business, the College of Education, and the College of Health and Human Services. Out-of-state tuition and fees are $18,586 (2017-18). mal University, is the oldest public university in Illinois and is located in Normal, Illinois. largest producers of teachers in the US according to the American Association of Colleges of Teacher Education. 5. Northeastern Illinois University (NEIU) is a public state university located in Chicago, Illinois. NEIU serves approximately 10,000 students in the region and is a federally designated Hispanic Serving Institution. The main campus is located in the community area of North Park with three additional campuses in the metropolitan area. NEIU has one of the longest running free form community radio stations, WZRD Chicago 88.3 FM. 1. 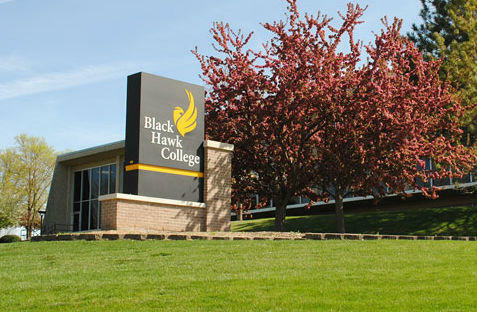 Black Hawk College is a community college in Illinois with campuses in the cities of Moline and Galva. Founded in 1946 as Moline Community College, it became Black Hawk College in 1961. It offers courses in the traditional liberal arts, vocational education, and adult education. 2. Carl Sandburg College- is a two-year community college based in Galesburg, Illinois, and serving the west-central Illinois region. The Main Campus is located in Galesburg, a Branch Campus is located in Carthage, and an off-campus site the Annex in downtown Galesburg. The college was established in 1966 and is accredited by the North Central Association of Colleges. Along with providing associate degree education for students.